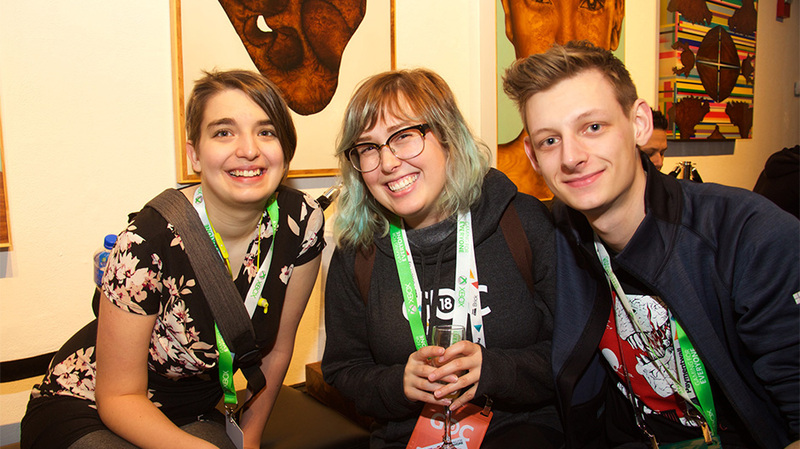 Team Xbox was proud to host the 2nd annual LGBTQIA in Gaming reception during GDC 2018. This year we hosted over 200 industry professionals and the event continues to be a place where this vibrant community can come together, network, hear from their peers and celebrate their accomplishments. Watch a short video about one of our community members Kate Craig and find great shots from our event photobooth. Held at the beautiful Minna Gallery, the reception featured fireside chats hosted by Xbox team members Clark Ly and M Rawlings and included industry veterans Gordon Bellamy , Leena van Deventer and Rebecca Heineman . Videos of the fireside chat are available on Microsoft’s Channel 9 and the links above. Starting off the event, Clark and M chatted with Gordon Bellamy who has a long and impressive resume in the industry. He discussed “coming out” at work when he was at Spike TV. Gordon shared about the history and growth of the Gay Gaming Professionals (GGP) including identification and progress made to have more representation from other orientation and gender groups within GGP. Next up was Lenna van Deventer, Director of Women In Development Games & Everything Tech (WiDGET). 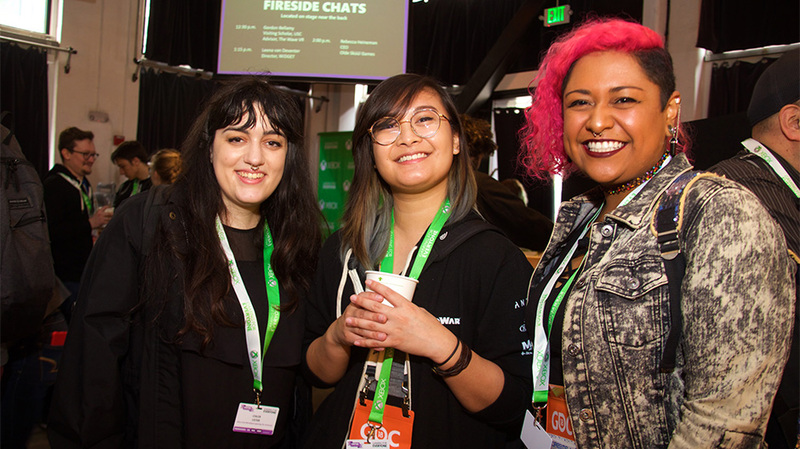 This not-for-profit organization supports those underrepresented in the fields of development and technology, specifically women, including women-identifying, creators across a range of disciplines. She discussed the reality of bi-erasure where someone who identifies as bi or pan are not recognized by some of the gay or straight communities because they aren’t “truly gay/straight” or “gay/straight enough” to be considered a member of those respective communities. She also spoke about her experience as a teacher working with game writers and helping illustrate to them their unconscious biases. Leena also discussed the differences in the gaming industry for developers in Australia ranging from publishers and financial aid to other funding options. Closing the event was Rebecca Heineman who spoke about her long career as a programmer, software developer and creator of Bard’s Tale III: The Thief of Fate & Dragon Wars. She shared how pay and inclusion over the years continues to get a little better for women, but still needs considerable improvement. She also stressed the importance of diversity and inclusion in the gaming industry. Rebecca recently became a member of the GLAAD board and will be helping them as they continue their efforts to bring gaming into the work they do toward cultural change and accelerating acceptance for the LGBTQ community. She spoke of her journey as a trans woman and how her transition while at a major Game publisher was surprisingly positive and supportive. She offered to be a resource for others new or currently in the industry that need someone to talk to or want some reassurance that it does get better as an LGBTQIA individual.